I’ve been wanting to return to the blog and have a number of posts in the queue — strange that this will be the first one published since back in March. 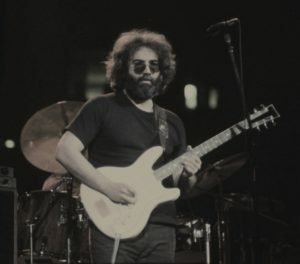 It’s not a subject I felt compelled to write about in the past, but Denise and I just finished watching the Grateful Dead documentary, Long Strange Trip, on Netflix. We were real live Deadheads for a short time and this film pulled back the curtain to reveal why we never felt that compatible with the band’s following and eventually lost interest in the Grateful Dead, a band we enthusiastically embraced almost 50 years ago. Rolling Stone Magazine found the documentary almost as disturbing as we did. In fact, every major reviewer expressed many of the emotions Denise and I shared throughout the series — sadness, pity, disgust and, ultimately, apathy toward the Dead as a band. After the first couple of episodes told the story of how these outcasts found one another and began making the music I loved, the film became a forced march through the band’s history that turned into a pretty miserable experience with brief flashes of nostalgia and fun. I suppose we soldiered through the entire series, flinching occasionally and blushing with embarrassment, in order to make sense of how we were drawn into the culture and why we came to be repelled by it. It was surprising to learn that the members of the band were aware that it was all going off the rails and identified distinct periods of change both in the band and among the Deadheads. Denise and I were able to see that our disenchantment increased during each one of those clearly defined periods. If you’re a Deadhead or just a fan of the Grateful Dead the documentary may be worth watching. If you are a sociologist, cult-deprogrammer, psychologist, or reality-show fan you may find it profitable. All others proceed with caution. Precious Skin serum on Skin Graft? © Vance Salisbury, Bo Salisbury, and bosalisbury.com, 1998-2016. Unauthorized use and/or duplication of this material without express and written permission from this site’s author and/or owner is strictly prohibited. Excerpts and links may be used, provided that full and clear credit is given to Vance Salisbury and/or Bo Salisbury and bosalisbury.com with appropriate and specific direction to the original content.